Figs, the fruit of the Ficus carica plant, are naturally sweet and good for your health. They are full of fiber, vitamins, and minerals. If portion-controlled, they can fit into any meal plan. In historical times, cooked figs were used as a sweetener in lieu of sugar, and some countries still keep to this practice today. *Based on a 2,000 calorie diet. Figs have a high glycemic index. Depending on the size and type (dry or raw), one fig can contain anywhere from 5 to 12 grams of carbohydrate and 3 to 9 grams of sugar. One fig contains 3 percent of your daily recommended amount of fiber. Because of their fiber content and its laxative effects, dried figs are often used in the treatment of constipation. Figs are naturally low in fat, containing a negligible amount. Figs do not contain much protein (only 0.3g per fig). Figs are a good source of vitamin K, potassium, calcium, and magnesium. Vitamin K is important for blood clotting. Potassium and calcium important for muscle function. Magnesium helps regulate blood pressure and supports over 300 enzyme reactions. Although figs may be high in sugar, they are good source of alkaloids, triterpenoids, vitamin C, and flavonoids, a subgroup of polyphenols. These compounds have been found to have anti-diabetic, anti-cancer, and antimicrobial properties, as well as antioxidant power, helping to combat oxidative stress and lower the risk of chronic diseases. One study found strong antioxidant and anti-cancer activities using dried coarse powder made from figs. The mechanism for these activities appears to be interrelated. Is it better to eat fresh or dry figs? Most people cook with and consume dried figs, but you can also eat them fresh, freeze them, or purchase them frozen. When using fresh figs, make sure to remove the stem (split the stem in half and peel it off the fruit). Why does eating figs cause my mouth to burn? People often complain of a burning sensation or sore tongue after eating too many figs, particularly fresh ones. This is due to the latex of the fig called phison. The phison is a proteolytic enzyme that breaks down proteins, thus your skin and tongue may itch or burn from exposure. To avoid "fig burn," spoon the inside of the fig out and eat it separately from the skin where most of the phison is contained. The less ripe a fig is, the more phison that is present. Figs can be eaten raw, grilled, roasted, or dried. They make a great on-the-go snack and can be used to dress up a meal, adding texture, color, and sweetness. Figs are a natural, healthy ingredient to use in desserts, smoothies, or when sweetening yogurt and cottage cheese. Replacing sugar, jelly, or other processed carbohydrates with figs is a great way to add fiber and nutrients to your meal. Consider swapping your regular bowl of oatmeal with this Mediterranean Oatmeal With Honey Tahini and Figs recipe instead. Figs (particularly dried figs) fall into the category of fruits that people with diabetes would benefit from avoiding, because of their concentrated sweetness. Some people complain of sore tongues after eating figs because they are sensitive to the phison content. 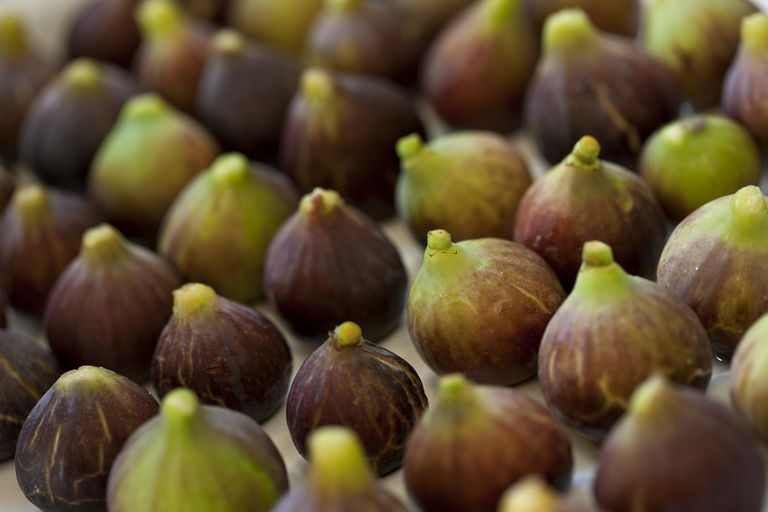 If your reaction is severe enough, it may actually be an indicator of a fig allergy. Start with just a little bit so you can see how you react.